It's one of the most important times of the year for sports fans. If u follow Chox-Mak you know he is an avid North Carolina Tarheels fan. 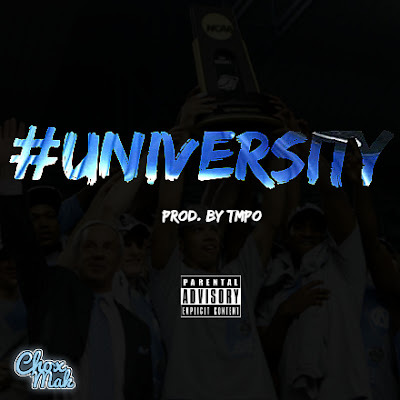 As an ode to his team so to speak and in celebration of March Madness Chox delivers #University. This track is hard hitting,punchline filled, and abstract to say the least.Tmpo is the maestro of the futuristic grungy beat that Chox owns with his cleverly timed cadence. Another track that shows the NC natives versatility and lyrical ability.